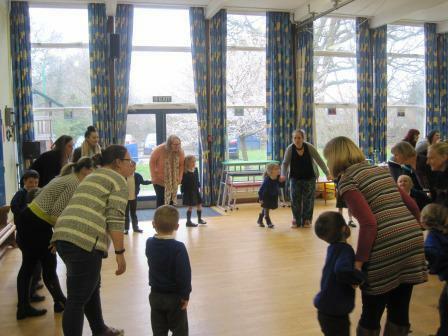 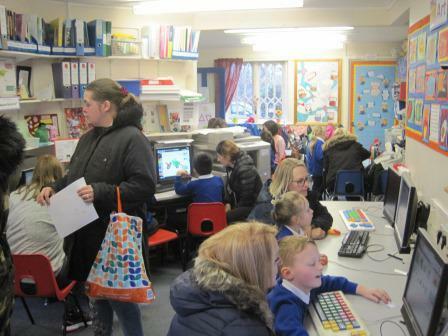 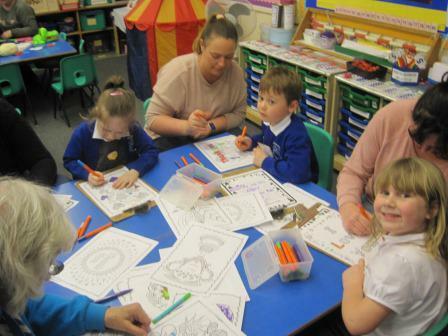 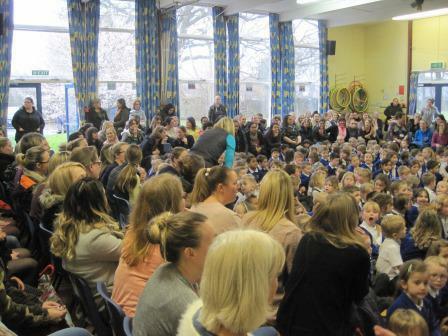 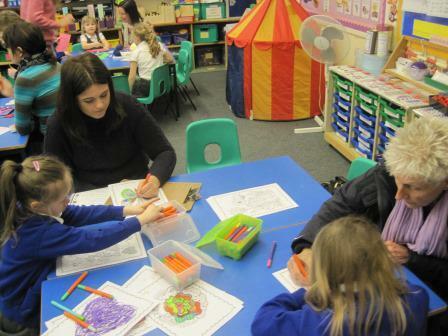 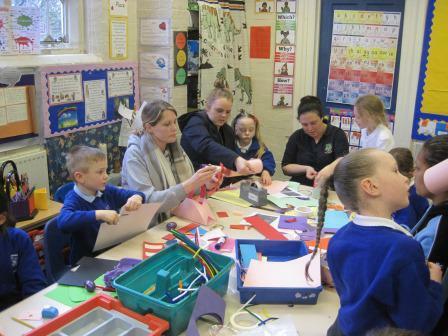 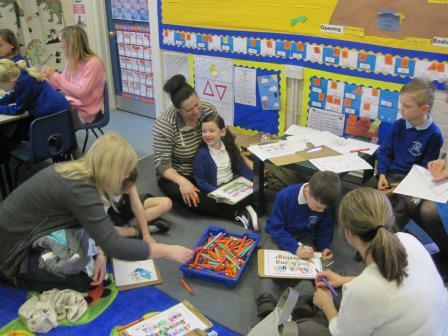 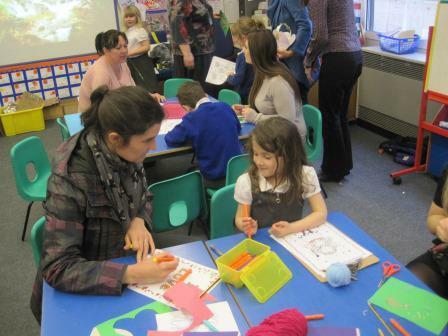 There was lots of excitement and colour as we welcomed Mums, Grans and Dads into school on this grey, wet afternoon to share lots of activities. 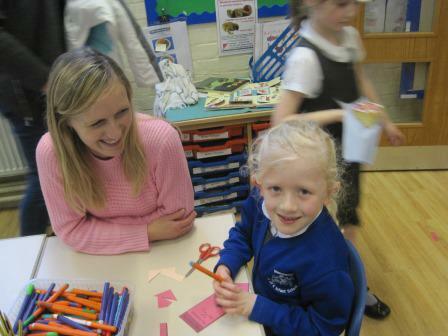 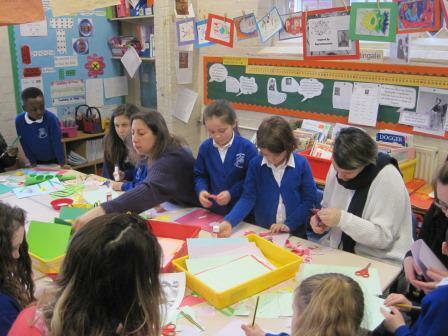 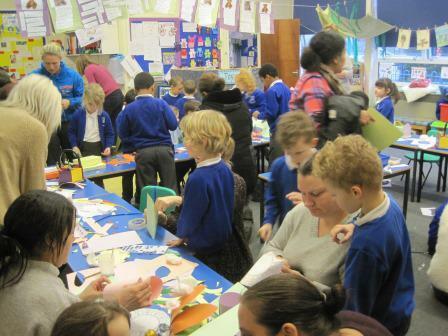 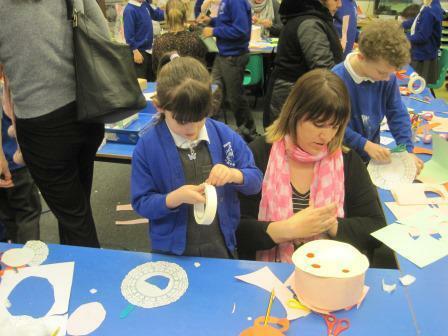 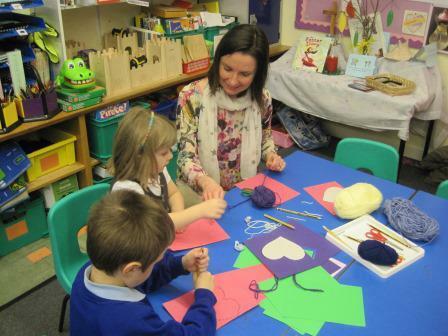 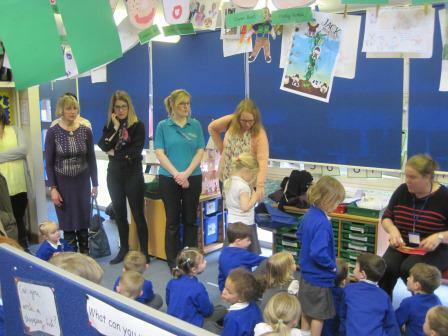 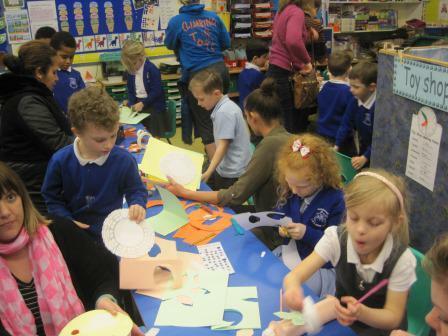 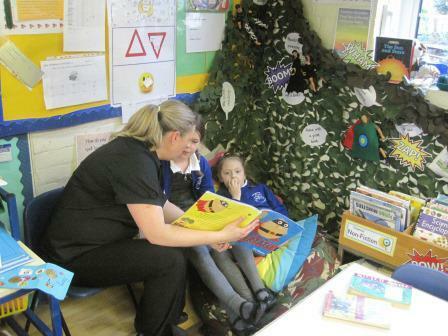 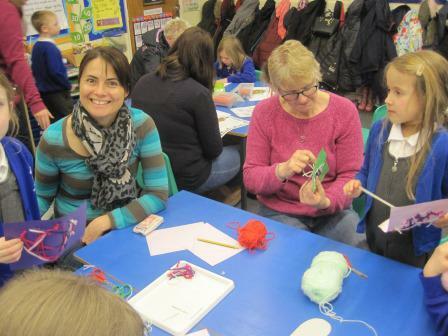 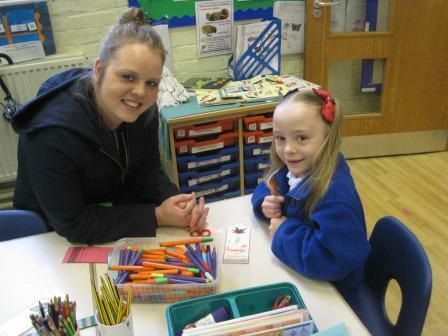 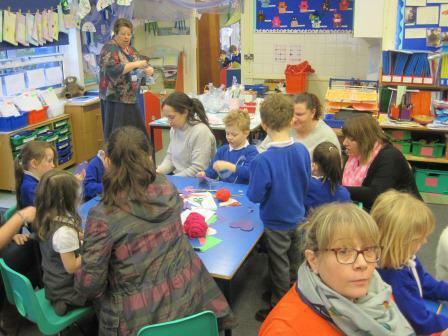 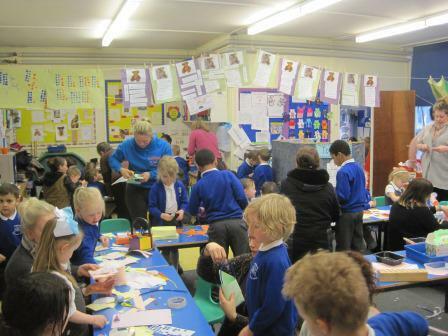 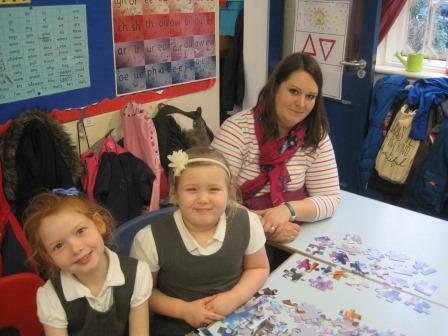 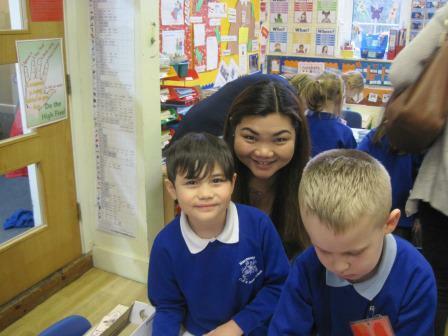 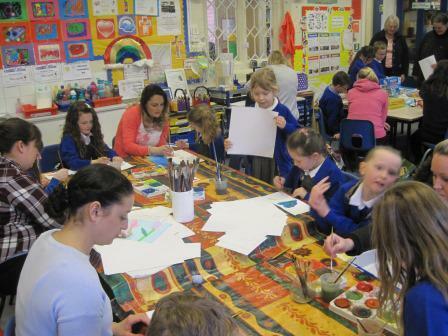 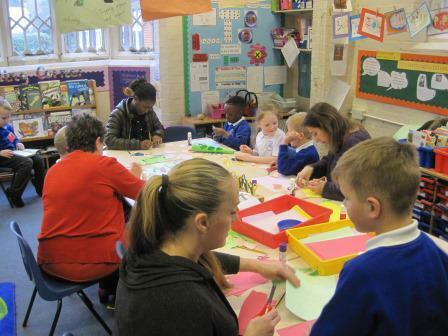 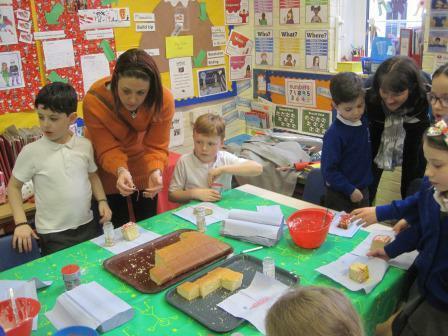 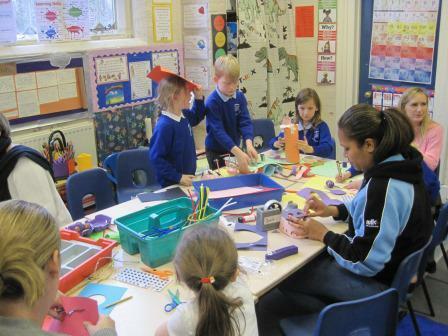 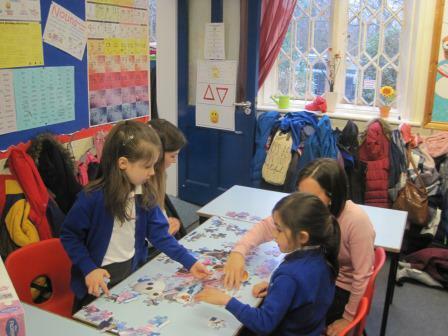 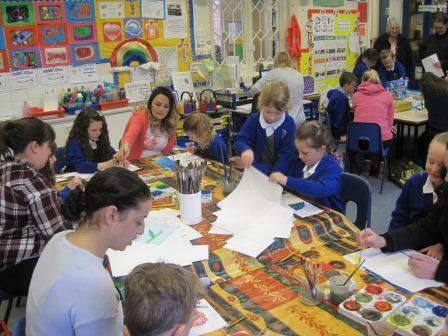 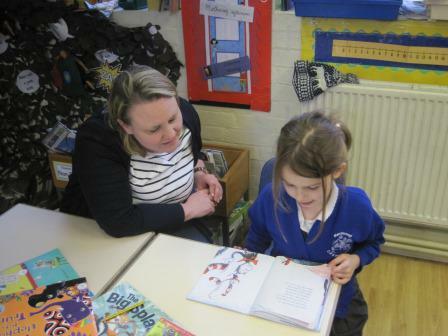 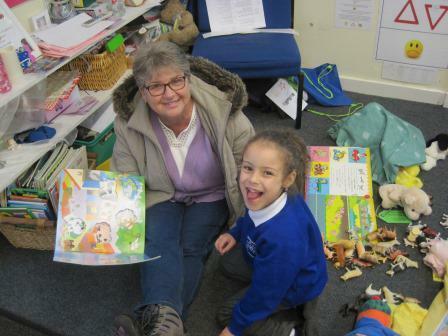 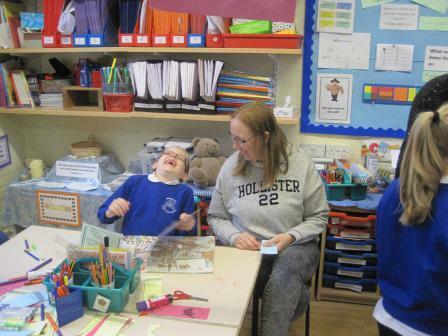 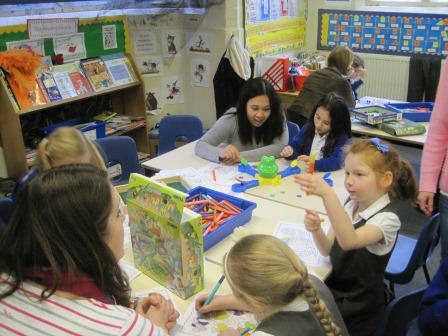 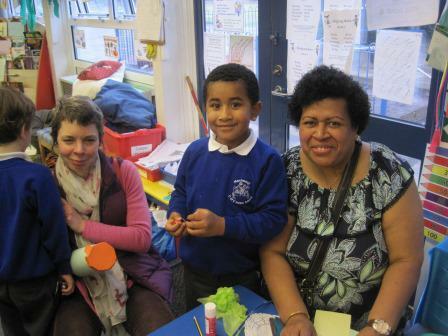 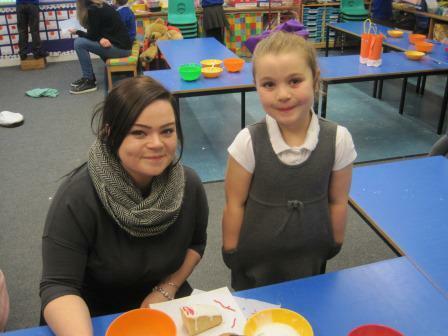 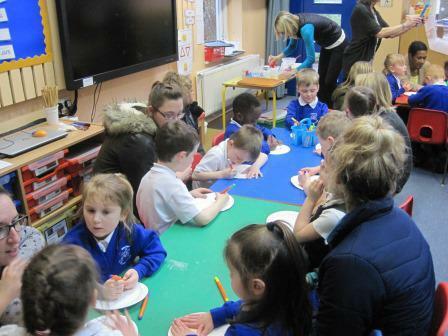 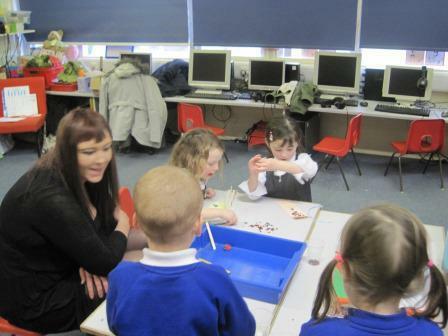 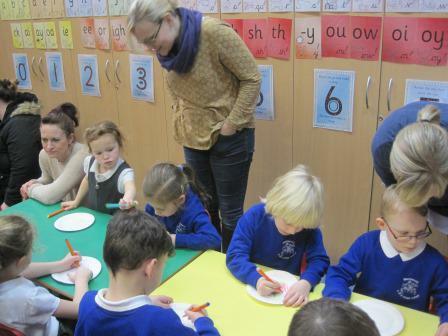 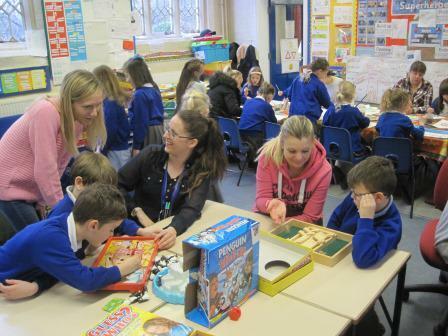 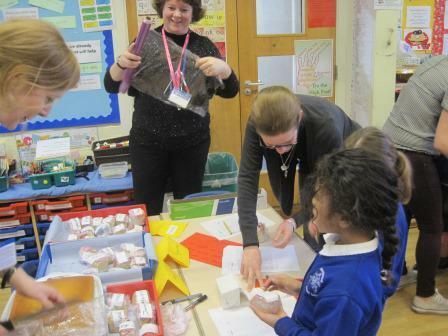 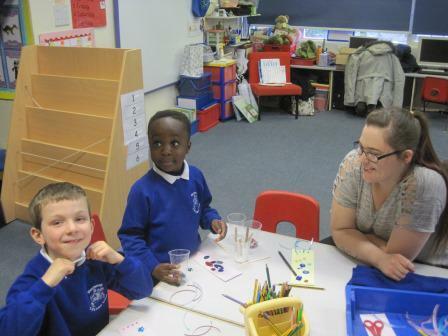 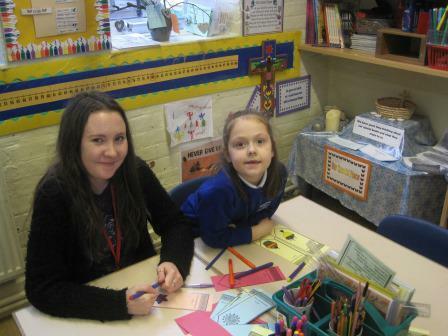 There was cake decorating and various art, craft and DT, games and puzzles, book sharing and also IT. 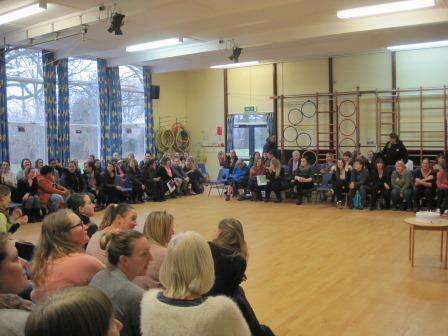 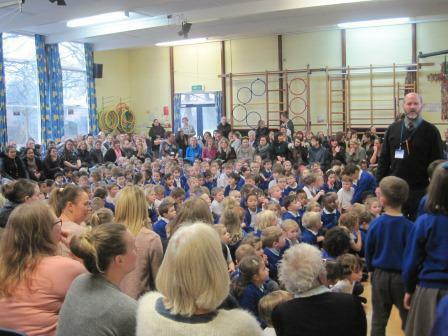 The afternoon was completed with everyone (a bit of a squeeze in the hall!) 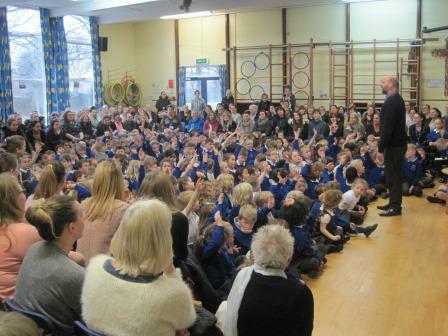 sharing our Celebration Collective Worship. 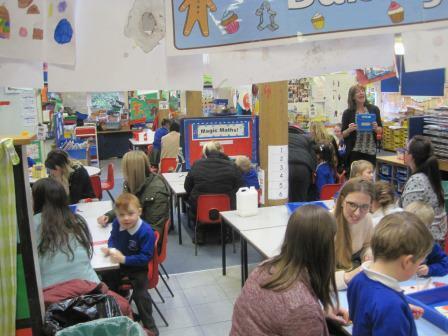 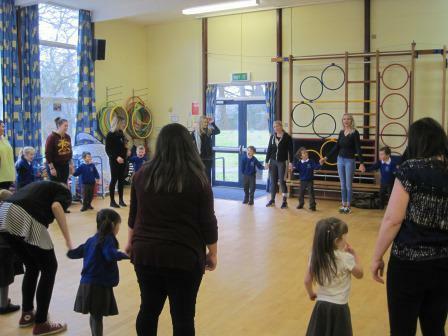 Thank you to everyone that was able to come, all of the children had a fun and enjoyable afternoon and we hope our guests did too.